If a little peanut butter is good, a lot is even better, right? Well, maybe. 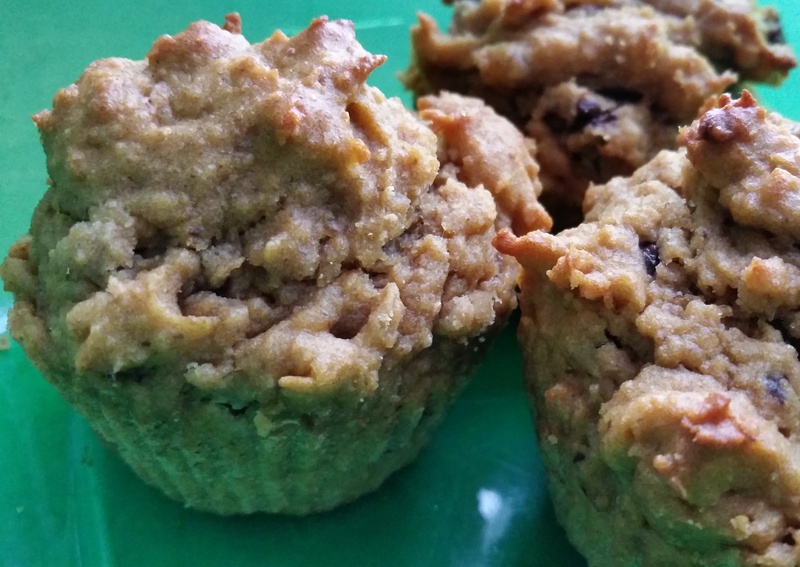 These muffins taste amazing if you’re a peanut butter lover, but they’re denser and moister than what I usually prefer. Next time, I’ll probably cut the peanut butter to 3/4 cups and add another egg. Put flour, whey powder, salt (optional), and baking soda in a blender and whir. Add chilled peanut butter by spoonfuls, whirring every few spoonfuls. 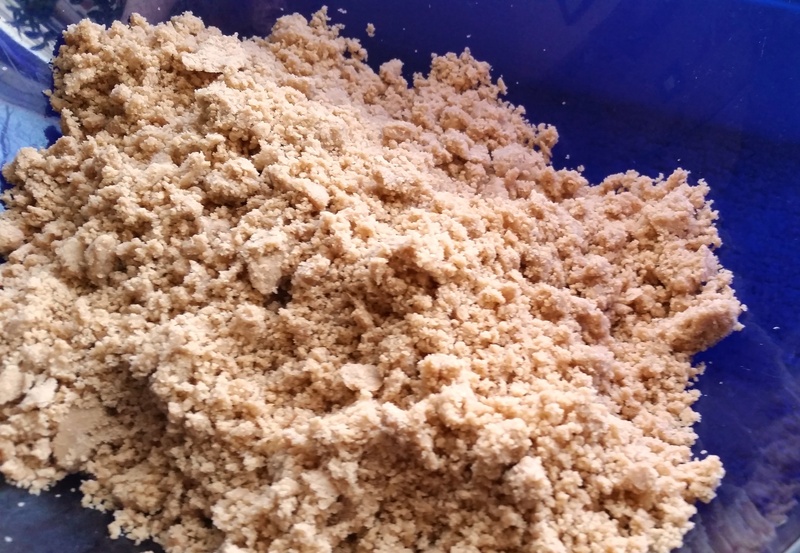 Blend until the texture of brown sugar (soft and moist with small clumps that crumble when squeezed; see photo below). Transfer to bowl. Put sweet potato, pear sauce or applesauce, xylitol and eggs in blender. Blend until smooth. Beat sweet potato mixture into flour mixture until just blended. Do not overwork the dough.